Netflix has already become a force to be reckoned with in the world of television, but in recent months they’ve been working to build themselves as a major film distributor as well. Now, they may have made their biggest deal to date. The word is they’re about to wrap a deal that will bring Will Smith’s next picture under their umbrella. The movie, entitled Bright, is set to star Will Smith and be directed by Suicide Squad director David Ayer. Now Variety is reporting that after talks broke down with Warner Brothers, Netflix looks to be the one that will have the best deal. All this is still tentative as no deal has, as yet, been made. Still, if the deal is done it will be a major coup for Netflix. 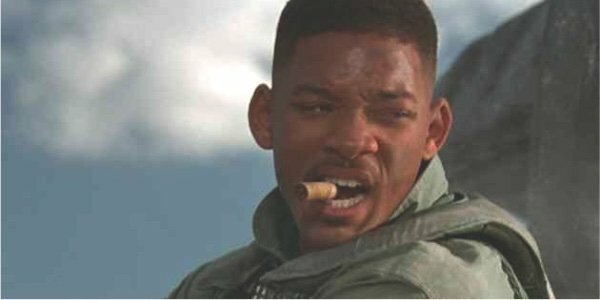 Bright is looking to be a hot property and Will Smith would be the biggest name to date to star in a movie for Netflix. It will be interesting to see how Netflix's involvement ultimately impacts Bright. Two of Netflix’ recent releases, Crouching Tiger, Hidden Dragon: Sword of Destiny and Beasts of No Nation, have seen releases on the streaming service alongside theatrical releases. However, many theaters, unhappy with the distribution plan, have refused to show the films, making the theatrical release very small. Beasts of No Nation got most of it's name recognition through awards season, although, famously, not the Oscars. The name recognition of Will Smith and David Ayer alone should make Bright the biggest film Netflix has yet released. It will be interesting to see if that changes the mind of any theater chains. The other potential side effect of this deal could be a change in the timeline for a sequel to this summer’s Suicide Squad. Back when Warner Brothers was the front runner on the deal to pick up Bright, the word was they wanted to get it into production this year, so that director David Ayer, and we assume Will Smith as well, would be available to shoot Suicide Squad 2 next year. We assume Warner Brothers still wants this, although, if Bright ends up not being their project, it’s unclear how much control they’ll actually have over the timing. Bright is written by Max Landis, the screenwriter behind Chronicle, and is being described as an End of Watch-style cop drama, which takes place in a world of orcs and fairies. It will certainly be a unique story to say the least. If Netflix does end up with Bright, are you likely to go see it in the theater, or just stay home and watch it from the couch?